Celebrities will tell you its lonely at the top, but such is not the case with the Lamborghini Aventador. Their flagship model, it arrived in 2012 as the successor to the Murcielago. With such a sinister appearance and significant V12 power, it has been a success by all measures. Blowing everyone away, the 5,000th Aventador was built in early 2016. What began as a 700 horsepower coupe has spawned a lineup including roadster versions of the base model, the Aventador Super Veloce, and the Aventador S. They are all great cars. However, the focus of today is the first version. To build the one-piece carbon fiber cockpit requires a giant mold. Workers apply each layer by hand, making sure the resin permeates each strand. After that, the monocoque is vacuum bagged to remove any air pockets, because they would cause imperfections when fired. Then each body is rolled into a giant Autoclave to be cured. Each of the molds is only capable of 500 cars before it wears out. So initially Lamborghini Aventador specs show 8 molds were assembled, to limit production to 4,000 cars. Once it is removed from the kiln, Lamborghini Aventador specs the cockpit weighs in less than 385 lbs. The front and rear suspensions are bolted directly to it, making it one of the strongest cars on the road. To make it comfortable, it was the first time Lamborghini mounted the suspension inboard, using bellcranks to reduce unsprung weight. 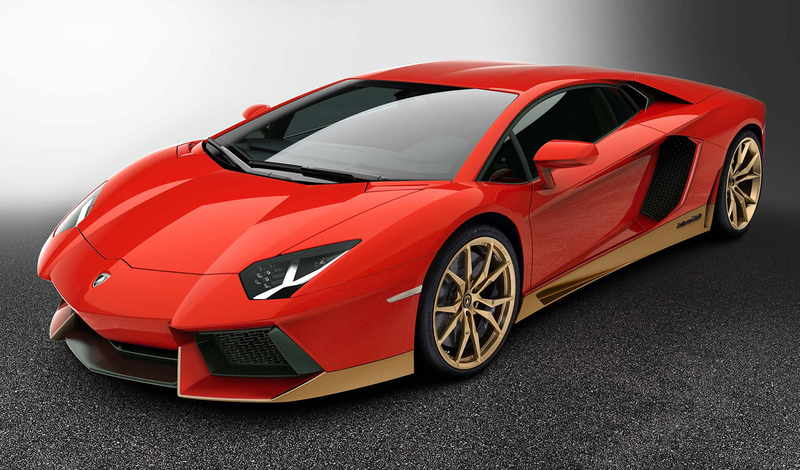 When completed, an Aventador coupe chassis measures in at only 506 lbs. For comparison, this is 75 lbs lighter than a cast-iron small block V8. A new way of building cars also deserves a new engine. The original V12 was the first engine built by Lamborghini. Engineered by Bizzarini and Dallara in 1963, it was finally put out to pasture in 2010 to make way for a younger & meaner bull. A twelve-cylinder, four-stroke engine achieves 2nd order balance at 60 degrees. Therefore it was one parameter left untouched. Engineers had several goals to accomplish with the new engine. Above all was horsepower. The best way to make reliable horsepower is high rpm. In this case, they used an over-square design. A short stroke and large bore is how the Aventador is able to scream above 8,000 rpm. In fact, the intake and exhaust camshafts are variable with the result that torque can be instantly added when the accelerator is angered. While the heads, block, and the dry-sump oil pan are aluminum, the cylinder is cast iron to handle immense power. In contrast to Lamborghini Aventador specs of the past, the Aventador can be quite comfortable. A few turns of a spanner wrench will allow adjustment of the Ohlins coil-overs. This will make the car smooth even over broken pavement. The center console and the switches are symmetrical, and the screen has an integrated backup camera. For the most part, visibility is above average for cars in this class. Entry and exit take place under the raised scissor doors, and their smooth hydraulic action draws a crowd in any situation. The roof height of a Lamborghini Aventador specs out at just under 45″, and for that reason, it has bright LED running lights to keep traffic alerted to your presence. For the most part, Lamborghini Aventador specs the interior with leather and microfiber. In the same way, the contrasting fabrics help to add depth to the small cockpit, on the whole, they keep temperatures down on sunny days. As can be seen in Lamborghini Aventador photos, there is no traditional shifter for the 7-speed transmission. Known as ISR, the independent shifting rods are controlled by the computer to shift gears in 50 milliseconds. It is tuned to follow separate shift points depending on the driving mode selected. However, you can take control with the shift paddles without delay. Instead of a shifter, Lamborghini Avendator specs the interior with buttons for neutral and reverse, together with an independent parking brake. If the key fob is in your pocket, to start the engine Lamborghini specs the parking brake be set, your foot must be on the main brake, so that a 3-second hold of the start button primes the fuel and engages the starter. Of course, other controls are easily handled by driver or passenger in the same fashion. The starter button is hidden under a red switch guard. It is precisely weighted to give you a sense of the power you have at your command. Bringing the switch into view is like holding the launch codes for a nuclear missile, the fate of civilization is in your hands. Since it has been in production for some years now, on the whole, the Lamborghini Aventador specs have changed how supercars are measured. In reality, it is a car that outshines any other, so everyone is wondering how it will be surpassed. Surely we must be at the limits of naturally aspirated power, now that incremental gains are seen as monumental. To this end, the Avendator must be on your bucket list. Your life before experiencing the Lamborghini Aventador specs in person will simply fade away. What’s more, you will have a newfound appreciation for driving. Your life after the experience will be much more rewarding. So why wait? Click the link below and get ready for the ride of a lifetime.